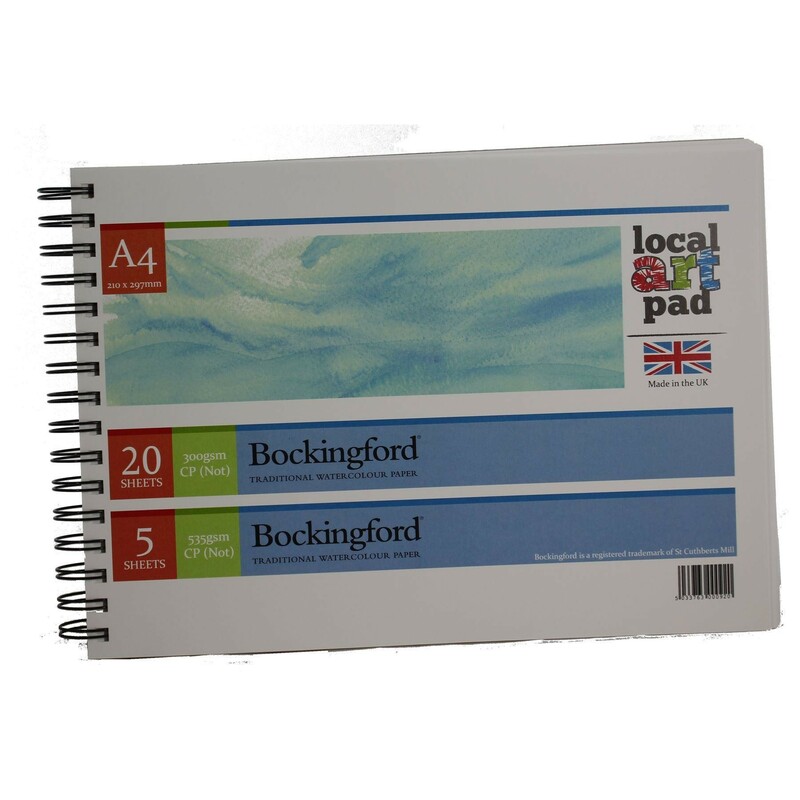 Local Art Pad A4 Bockingford watercolour pad, 20 sheets of 300gsm & 5 sheets of 535gsm Pad. 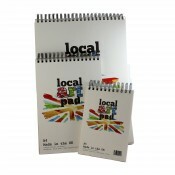 We have thought out of the standard pads and designed a few special ones perfect for artist 's needs. 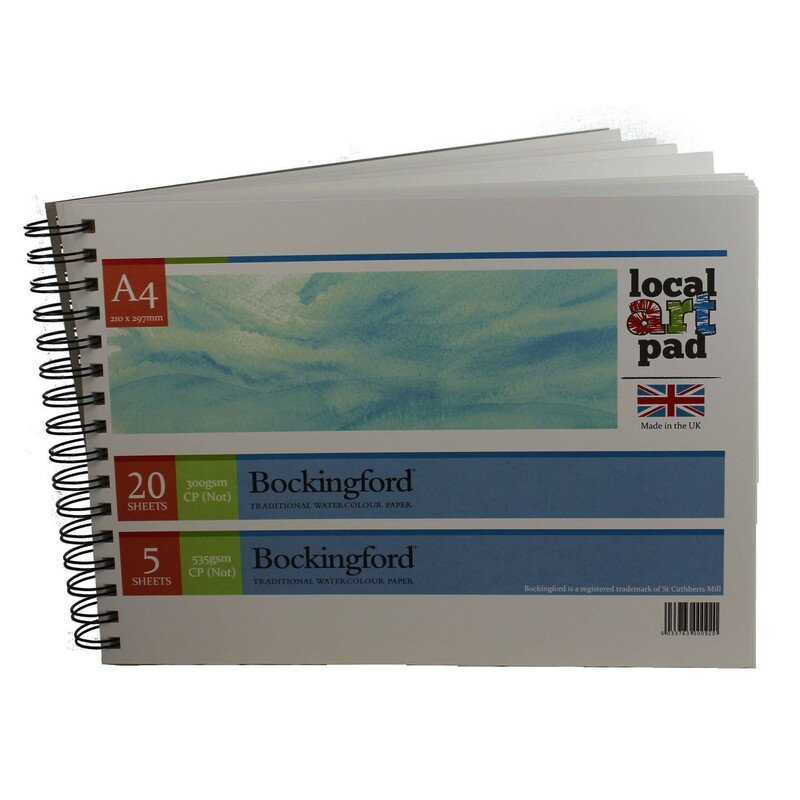 This pad has 20 sheets of Bockingford Cold Press 300 gsm and then at the back has 5 sheets of 535 gsm Cold press making this perfect for all levels of watercolour artists. 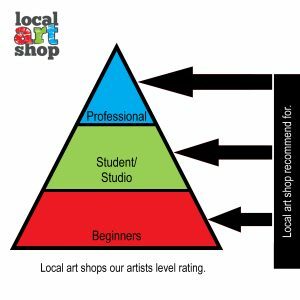 For professional artists use the 300gsm for ideas and 535gsm for more finished work. Bockingford is a beautiful English watercolour paper, traditionally made on a cylinder mould machine at St Cuthberts Mill. This is a high quality paper made using pure materials to archival standards. Its attractive surface is created using natural woollen felts that give it a distinctive random texture. Appreciated for its excellent colour lifting abilities, this is an extremely forgiving watercolour paper valued by professional and amateur artists around the world. Bockingford offers quality watercolour paper at an affordable price. As well as watercolour, Bockingford is suitable for pastel, gouache, acrylic, pencil, charcoal, pen & ink. This NOT paper is wood free, internally sized and acid free.